Beverly's Official Blog | News and findings from world of crafts, scrapbooking and more: May "How-To" Giveaway! That is too cute! Wish me luck! 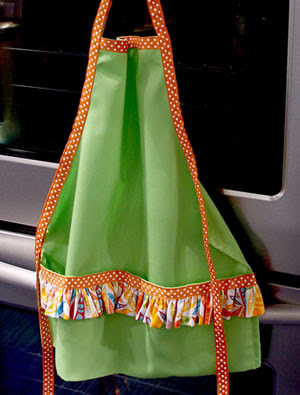 Such a fun apron! I love the cute orange polka dots! this would be a great activity for me to do with my 10 yr old niece!